I was 8 when I received my first bulletin board. *sigh* Memories… *pauses to ponder whether non-to-be writer kids cherish cork boards* My family had just moved to suburbia, and to ease the angst of moving, my mom bribed me with gave me Sweet Valley High and Babysitter’s Club mysteries. (Smart woman. ;)) So guess what landed on my board? Photos of my favorite books and characters, and anything else I found compelling—Paula Abdul, hot pink and purple what-evers, our family dog, my BFFs and code names for boys I totally did not have crushes on. That, my beautiful friends, is Pinterest in a nutshell—virtual cork boards to fill up with content we’re intrigued by. And like childhood cork boards, they reflect our interests, personalities, goals and dreams. For bloggers, they are also visual platforms that can enhance our blogging/writing brands. Whether you’ve joined Pinterest or not, your blog posts may have. * We can respond to this with an aggravated, “How dare they pin my stuff without asking?!? !” attitude, or appreciate the promotion and accept the fact that making our posts more pinnable can be highly beneficial. As the current fastest growing social media platform, Pinterest offers bloggers a fun, visual way to connect with readers we might not connect with otherwise. Cool, right? And because it’s a top referral to many online retailers, those of us with books or other products for sale have multiple reasons for excitement. 2. Feature a fabulous, topic-specific image. Using an adorable koala bear photo is a great idea if your post somehow relates to animals. But using an animal photo just because it’s cute and you think people will pin it isn’t the best idea. Why? Because people will pin the photo, but they’ll be less likely to click to read the connected post. Or they’ll be disappointed when upon clicking the koala bear, they find a “how to de-lint your carpet” post (unless they happen to love koalas AND struggle with lint-laden rugs). It’s better to have a simple graphic that ties into your topic than to be cute but on two different planets. Purchased photos upheld by the Creative Commons license, which is a legal code that allows you to utilize images freely. Many Flickr users offer uphold CClicensure. You can also enter keywords into the CC Searchtool,which will take you to independent companies that offer CC-friendly works. Once you find an image, look for the CC license trademark. If you don’t see this—> contact the site owner. Fellow artists’ work, with permission. If you’re in love with a particular image, contact the creator. As long as we credit artists’ work properly, many are happy to share work samples. If you have an artistically-inclined friend, team up! By working together, you can both benefit. 3. Enhance your images with text or other “tweaks.” I’m not very graphics art-inclined, yet have been able to edit images and add simple text using Artboard—a Mac app I found on iTunes. Trust me: If I can do it, you can. 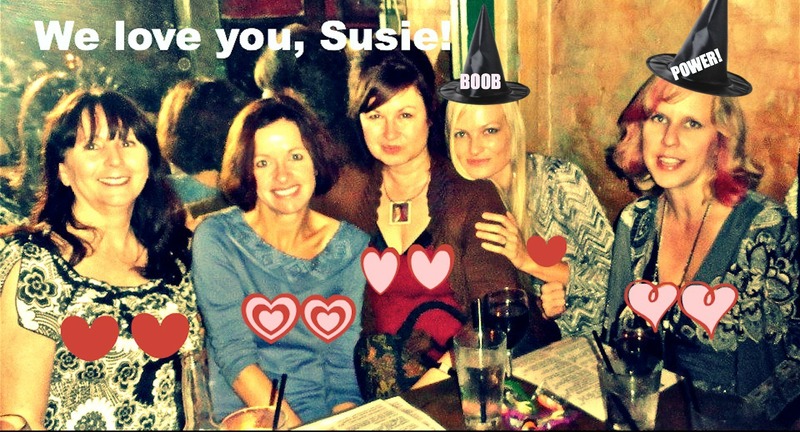 I’ve also heard great things about PhotoShop and PicMonkey. Add your web address, a powerful quote that ties into your blog post or your post title—whatever floats your blogging/pinning boat. 4. Use easy-to-read text. When adding text to images, the words may read loud and clear until you make them into a smaller image on your blog, and smaller yet on Pinterest. Particularly if the words are the focus of the image, i.e., you’re featuring a quote, use bold, extremely legible font. 5. Invite blog readers to pin your posts by implementing Pinterest share buttons. 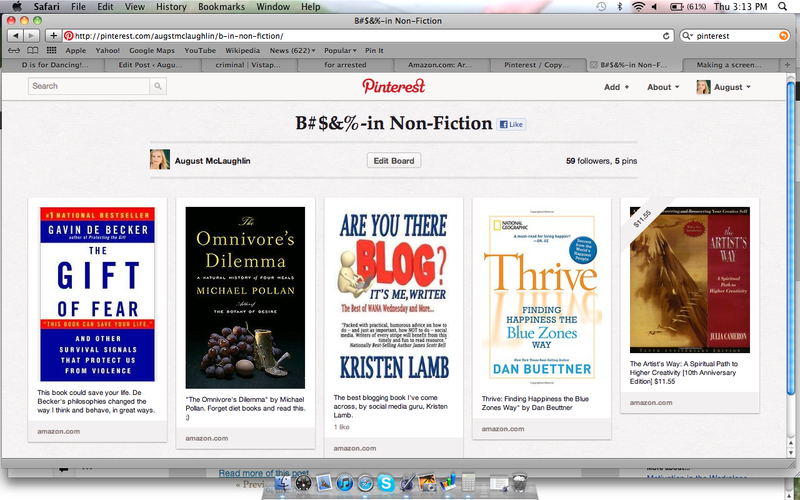 Adding the “Follow Me on Pinterest” button to your blog also helps, by showing your readers you’re in the game. Notifying your current readers that you’ve joined Pinterest and that they’re welcome to pin your posts isn’t a bad idea either. Once you’ve created a Pinterest-friendly post, pin it along with intriguing text that gives readers a feel for the post. To make it even easier for pinners to read your post, paste the address after the description. Then, use hashtags as you would on Twitter. You can also tag others in your post by adding their Pinterest handle. If your account is linked with Twitter, insert the Twitter handle of anyone featured in the post. If I’m posting a link by talented writer Lisa Hall-Wilson, for example, I’ll put @Lisa Hall-Wilson to ensure that she’s notified. If I want to tag her on Twitter, I’ll add @LisaHallWilson. *To learn if your blog has been pinned, plug this into your web browser, with your site inserted: http://www.pinterest.com/source/WEBSITENAME.COM. I’d love to hear from you. Are your posts already Pinterest-friendly? Any tips to add? 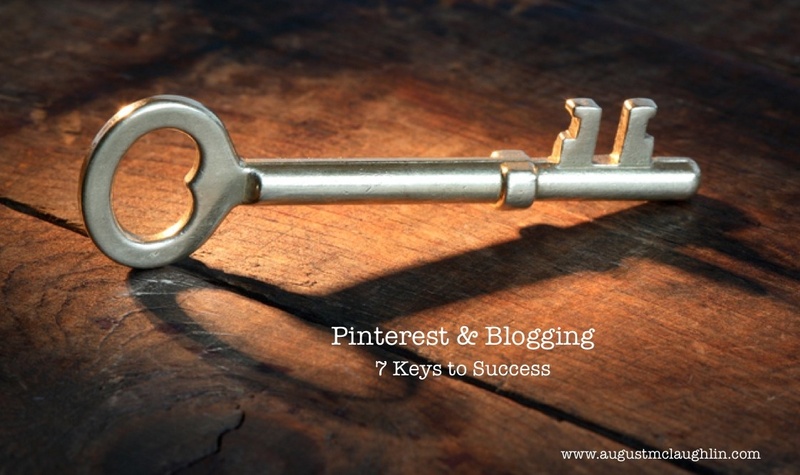 How has Pinterest helped your own blog? David Freed is a screenwriter, Pulitzer Prize winning investigative journalist, pilot, father and dog lover with a passion for Mexican food and “virtually all things with wings”. He’s also one of my new favorite authors. 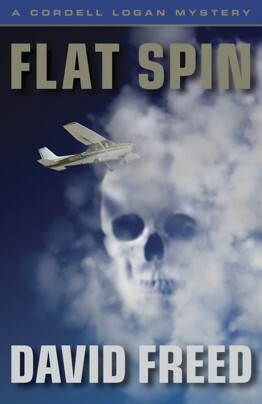 David’s debut thriller, Flat Spin, is a witty, entertaining tale chock-full of captivating characters that never lets go. The Library Journal called it “a delightful romp” and “highly recommended.” Kirkus Reviews said it’s “full of interesting episodes and feels authentic…” TRUE THAT, says me. Based in sunny Rancho Bonita – “California’s Monaco” as the city’s moneyed minions like to call it – Cordell Logan is a literate, sardonic flight instructor and aspiring Buddhist with dwindling savings and a shadowy past. When his beautiful ex-wife, Savannah, shows up out of the blue to tell him that her husband has been murdered in Los Angeles, Logan is quietly pleased. Savannah’s late husband, after all, is Arlo Echevarria, the man she left Logan for. Logan and Echevarria were once comrades-in-arms assigned to a top-secret military assassination team known as “Alpha.” The only problem is, the LAPD can find no record of Echevarrias ever having toiled for Uncle Sam. Savannah wants Logan to tell the police what he knows. At first he refuses, but then, relying on his small, aging airplane, the “Ruptured Duck,” and the skills he honed working for Alpha, Logan doggedly hunts Echevarria’s killer. His trail takes him from the glitzy Las Vegas Strip to the most dangerous ghettos of inner-city Oakland, from darkened, Russian Mafia haunts in West Los Angeles to the deserts of Arizona. But that’s the least of his problems. It is his love-hate relationship with Savannah, a woman Logan continues to pine for in spite of himself, that threatens to consume him. AM: First, congratulations on your book release! How does it feel to have your first thriller published? What was launch day/week like for you? DF: Thanks, August. The experience has been thrilling, no pun intended, and surreal. As you know as a writer yourself, you spend many months or even years in a room all by your lonesome, filling one blank page after another with words conveying fanciful ideas from a world you’ve concocted in your head. Then, one day, if you’re incredibly fortunate, some publisher says, “I like the way you’ve arranged those words enough that I’m going to pay you—though not very much–to put them in the form of a book.” A year or so later, your friendly UPS delivery driver dumps a cardboard box on your doorstep and there you stand, hefting in your hand that very book, many copies of which you hope will find favor across the land. All hyperbole aside, opening that box certainly rated as one of the great moments of my life to date. However, my ego balloon was quickly shot down by the handful of good friends I invited over to help me celebrate what a huge honking success I am. They quickly reminded me that I’m still the same guy who picks up the dog poop in his backyard, prefers turkey burgers over fine dining and wears his T-shirts into the ground. AM: Not to re-inflate that balloon or anything, but I think all of that makes you cooler. What inspired you to write Flat Spin? DF: I’m a journalist by background, and I don’t think there’s ever been a journalist born that didn’t secretly aspire to write a novel. My goal, having reported more than my share of stories exploring the dark side of humanity, was to write a book that would be fun to read while incorporating into the plot subject material of which I was at least somewhat familiar. I also wanted to write something that I could claim at the end of the day was truly mine. When you’re hired as a writer in Hollywood, which is another hat I’ve worn, you sign a contract that literally states the studio is the author of your work. I cannot tell you how my scripts I’ve cranked out that ultimately and absolutely bore no resemblance to what I wrote. AM: You really put the reader in Cordell Logan’s head. I felt like I was the secret military assassin turned Buddhist flight instructor. (I mean that as a compliment.) How similar is Logan to you? DF: Thanks for the compliment. Hey, I’ll take all I can get! You’ve asked a tough question. In terms of life’s experience, I’d say that I’ve traveled on the periphery of where Logan’s gone—though, certainly, he’s led a much more bombastic life than me. For example, I didn’t played football for the Air Force Academy, as Logan did, but I did play football. I never flew Air Force A-10s during Desert Storm, but I did help cover Desert Storm for the Los Angeles Times. Like Logan, I’m an instrument-rated pilot. Unlike him, I am not a flight instructor. Nor am I an aspiring Buddhist, though I am intrigued with the religion. One more thing: Logan is a former member of a covert, since-disbanded government assassination team. I can assure you I have never worked for such a team, though I have done work in the intelligence community. If Logan and I share any undeniable similarities, it is that we both really enjoy flying airplanes and eating really good burritos, though not necessarily in that order. AM: Nice. I liked the fact that you didn’t go overboard in describing characters’ appearances. I envisioned Savannah like Anna Nicole Smith for some reason… Way off? DF: Waaay off! [*August laughs, LOUDLY. *] But that’s cool. As a reader, you should have the right to imagine fictional characters however you wish. If you see Savannah as Anna Nicole Smith, you’re not gonna wreck my day, even though I may have conjured her with a completely different image in mind. As a screenwriter, I learned that movie casting options dwindle proportionately to the degree of description you write into a script when it comes to your characters’ physical attributes, or lack thereof. The perfect dilemma of too much detail can be found in the upcoming Jack Reacher film. Author Lee Child describes Reacher, a former military police officer, as a big, brawny guy, well over 6 feet. 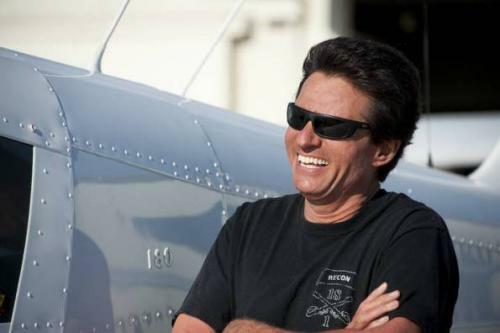 Who’s purportedly going to play Reacher?—5’-7” Tom Cruise. Not that Cruise wouldn’t do a great job with the role. But fans of Child’s books are already grousing about how casting Cruise will absolutely ruin the franchise. I’ve heard that author Sue Grafton refuses to sell the film rights to her wildly successful Kinsey Millhone series simply because she doesn’t want her readers equating Kinsey with the likes of a real life actress. AM: What was the toughest part of the process, from beginning your first draft to publication? DF: With Flat Spin, it was having no choice but to set aside the draft to work on gigs that paid. By the time I’d get back to the novel, weeks and sometimes months would have gone by; I would’ve forgotten major plot points and even characters’ names. It’s much easier to build a head of steam and maintain a daily momentum, writing a book start and finish without distraction. AM: I imagine many writers can relate to that. Anything you’ll do differently next time around? DF: I already am. I’ve turned down or postponed several other writing assignments to devote myself full-time to Flat Spin’s sequel. AM: Love that. Your career background is extremely intimidating impressive. How does thriller writing compare to your work as a journalist? DF: They’re two distinct animals. A journalist is married to facts. In both reporting and writing a news story, you go where those facts take you. Writing a fictional thriller can be vastly more exhilarating and intimidating if for no other reason than the immensity of the potential creative landscape you, as a novelist, look out upon. You must make myriad creative choices that you don’t typically make in a news story. The process can be analogous to feeling your way through a minefield: every step bodes potential success or disaster. Writing a thriller versus a journalistic story is also different because of the much more subjective nature of the final product. When you’ve published a first-rate piece of journalism, there is usually broad agreement you’ve accomplished something significant. With fiction, a writer rarely achieves that kind of consensus, if only because of the disparate tastes of individual readers. It’s like a Jackson Pollack painting. Many people will see genius in it; others will see it as one huge paint splatter. DF: Meeting sources in bars is not nearly as sketchy as meeting them in underground parking garages or empty parks at night, where there are fewer witnesses to identify your body. I’d be lying if I said there haven’t been a few occasions when I felt like things got a little gnarly in such places. I remember once making arrangements to rendezvous in a bar with a really sketchy dude who’d called me, claiming to have direct knowledge of the alleged second gunman in the John F. Kennedy assassination. He insisted after we met that I come with him to his apartment where he had all of the “evidence” in safekeeping. I went to the men’s room, called my editors, and gave them the address, so that if I didn’t show up for work the next day, they’d know where to send the coroner. Turns out the guy, who proved to be a totally harmless whacko, had devised some theory that the second gunman was secretly hidden in the trunk of JFK’s limo. Yeah, right. On another occasion, I was working on a series of stories targeting members of organized crime in a major land fraud scam. I came home late one night and my phone started ringing immediately. The anonymous caller proceeded to spent about 30 seconds telling me where things were in my cabinets and drawers that you wouldn’t have otherwise known about unless you’d been inside my apartment—and I lived in a secure building. The next morning, I went out to my car and discovered somebody had put a screwdriver through the fuel tank. There were was gas all over the parking lot. I carried a pistol for several weeks after that. For the most part, however, investigative reporting is incredibly tedious. You spend vast amounts of time interviewing boring bureaucrats, and hours sifting through government archives where you are much more likely to catch some obscure respiratory disease than you are a bullet. AM: Yipes. Aside from staying healthy and bullet hole-free, what’s next in the pipeline? DF: I’m hard at work on the next Cordell Logan mystery. If all goes well, it’ll be out next year. I hope you enjoy it as much as I’ve enjoyed this! He’s GREAT, right??? To purchase Flat Spin, zip over to Amazon.com or David’s website for more options. In the meantime, or after, any thoughts or questions to share with David? Unless you A) have a compulsive psychological disorder involving social media, or B) are being held at gunpoint by an internet-mongering psychopath (in which case, please visit 911.com) there are many ways to keep TS at bay and still reap the many benefits social media has to offer. Pinterest is now the third most popular social network, according to a new Experian study, behind Facebook and Twitter. And retailers are not the only beneficiaries. Crystal Underwood’s tips-for-mommas blog leapt from 100 hits per day to up to 7000 after she embraced the virtual pin boards. Design blogger Jessica Colaluca, one of Mashable’s “21 Must-Follow Pinterest Users,” credits Pinterest for 35 percent of her estimated one million-plus monthly hits. And major publications, including Elle magazine, Martha Stewart Living and Cooking Light, are taking Pinterest by storm. 3. Give to give. Giving of ourselves also enhances enjoyment—ours and our readers. If you, and by extension your brand, is entertaining, provide entertainment. If your brand is inspiring, inspire. Have cooking, cleaning or photography skills? Share some pointers. Such giving attracts like-minded readers to our blogs, who will appreciate what you offer. In return, you’re likely to gain subscribers, comments and, when applicable, sales. This practice reminds me of exercise. Many of us start working out because we believe we should. The emotional benefits—better moods, sleep quality, energy…—keep us at it. 4. Get creative with titles, photos and topics. Using your authentic self to conjure up snappy titles, eye-catching graphics and topics you genuinely dig is a great way to lure people from Pinterest to your blog. It also encourages re-pins and comments. Just make sure that your post’s content is at least as entertaining, inspiring, though-provoking or delightful. 6. 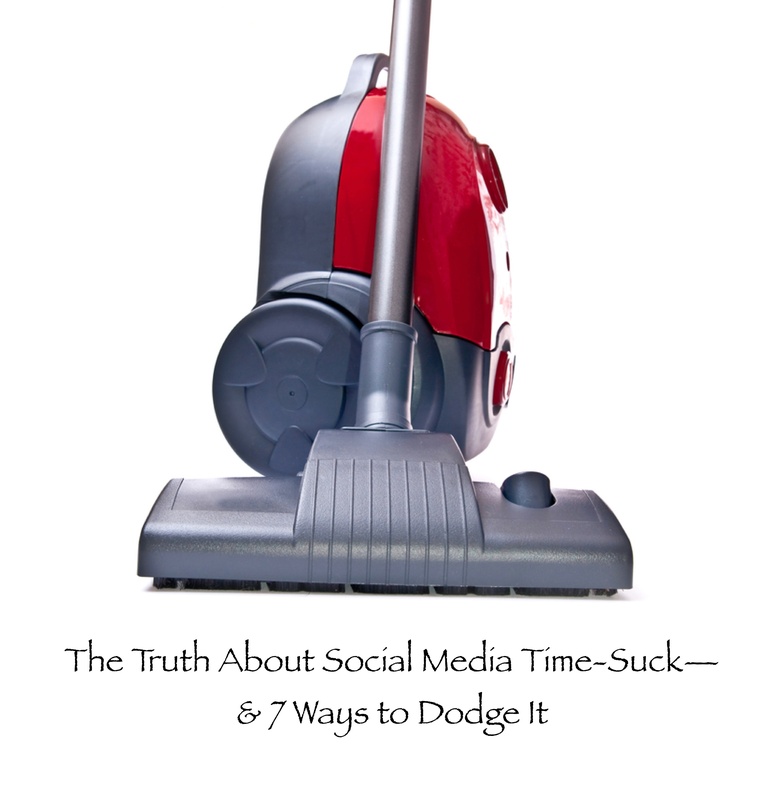 Keep your blog and pin boards in mind in the “real” world. I only recently signed up for Pinterest. Already, it’s opened my mind up to cool new ways to use it. I tote and use my camera more often and have been dabbling in graphic techniques. Just as life inspires blog topics, knowing our posts could appear on Pinterest can inspire us to seek out photographable moments that coincide. Best of all, the process feels more like fun than work—how life should feel, IMHO. 7. Support others. As with other social media platforms, rambling on about ourselves, our products or our work generally evokes one thing: annoyance. We all know how frustrating endless pitches from a particular salesperson can be. If you’d slam the door on your content if it appeared at your door, switch gears. Comment on, follow and share others’ fabulous posts and pins on Pinterest, Twitter, Facebook and/or your blog. 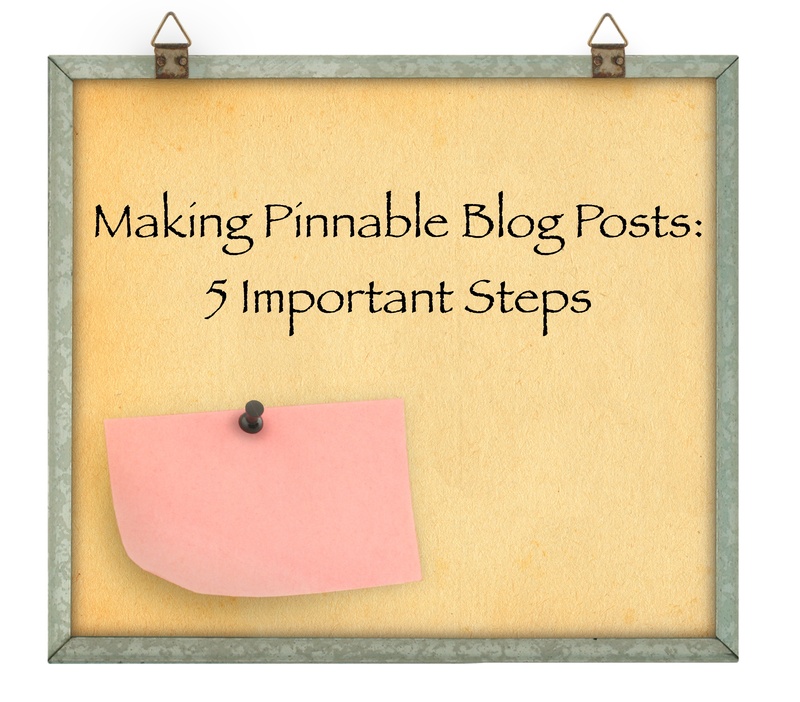 Don’t only pin blog posts. Share and celebrate your interests. If your blog is serious, show your goofy side, and vice versa. You can also use Pinterest boards as tools to organize your favorite products, articles, books and so on. Link your Pinterest account to Facebook and/or Twitter. Mine is linked to Facebook, which allows me to interact with people on both networks with one post. I then Tweet pins selectively. Experiment with both, then decide. Invite your friends to Pinterest. Lisa Hall-Wilson and I both have group boards, which are a great way to join forces with like-minded folks. If you’re interested in joining my group, Writers United, drop me a note: august@augustmclaughlin.com. To encourage readers to pin your posts, add a “Pin it” button to your share options, and a “Follow Me on Pinterest” widget to your theme. Focus on quality and connections, not “the numbers.” Gargantuan numbers of hits can be fun to see on your blog dashboard, but it doesn’t mean much if people spend little time reading or enjoying your content. I’d rather have a handful of close-knit, supportive connections than boatloads of rapid clicks. Wouldn’t you? I’d love to hear from you. Any of these tips strike a chord with you? Any to add? Thoughts on Pinterest in general? Okay, so even before the Pinterest copyright changes, it’s highly unlikely any of us would have been locked up for pinning. To my knowledge, no pinner has been jailed, fined, tarred or feathered—at least not for pinning. But there has been tremendous concern over the social media giant’s potential to infringe on copyright holders. Lucky for the millions of “pinners” worldwide, however, much of that has changed. Effective today, Pinterest no longer asserts the right to “sublicense” or “sell” pinned images. The company has also removed the word ‘irrevocable’ from the copy right license and updated their terms in accordance with the Digital Millennium Copyright Act of 1998. We can now safely pin our own images and most images linked to original sources. If someone re-pins ours images without proper citation, we can report it by filing a copyright infringement notification. If the claim is deemed valid, pins in question will be removed. If we pin an image without proper linkage, we might get flagged. Pinterest can remove the image and notify us that we’ve overstepped bounds. We then have the option of contesting the claim. 1. Pin your own images or graphics, linked to your website. This not only helps ensure that your images are credited to you, but can increase traffic to your site. If you’re not handy with a camera, create text graphics like these. 2. If you find a random image you’d like to use on the web, seek permission from the owner. If credited properly, many photographers and artists appreciate the publicity. They may also share your link with their circle of friends. 3. Don’t pin personal images you don’t want re-pinned by others. 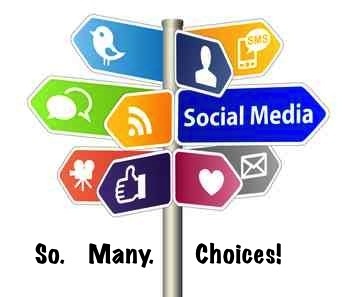 This may seem obvious, but many of us post personal photos on social media sites without much thought. If a photo contains other people, asking their permission is a good idea. 4. If you notice that someone hasn’t linked a pin properly, tell them. It may take a while for people to get a hang of proper pinning. Most of us want our links shared. So if you notice that someone hasn’t given you credit, thank them then suggest adding a link. You can also direct them to the copyright terms. 5. Use credible websites. Google Images is not a valid source for books, food, fashion or other goods. If you dig a Banana Republic top, link the image to BananaRepublic.com, not Google or your blog. Use Mac.com for Mac products, Amazon.com for books you’ve found there, CookingLight.com for Cooking Light photos and so on. Clicking the pins on my non-fiction board brings you to each book's purchase screen on Amazon.com. 6. Install and use the “Pin It” button. This allows you to pin images from websites to your boards, and links it appropriately—assuming the site owns the image. To nab the “Pin It” button, click here or visit the Goodies section on your Pinterest homepage. 8. If you’re unsure of an image source, seek it out. Google can help you determine the original source of a photo. For a step-by-stey tutorial, check out this post by The Graphics Fairy.